We cannot recommend this company enough. Nothing was too much to ask and everything was perfect on the day which was very comforting at such a sad time. David and Caroline could not have been more helpful and supportive while arranging our Dads funeral and we could not be more grateful for their help in ensuring he got the send off he deserved. Special thanks to Tam the piper who also went over and above on the day to make the music personal to our big guy. David delivered an excellent service and I could not recommend him enough. He exceeded our expectations at all times. Throughout our meetings and discussions he aimed to ensure our needs and wishes were met. Nothing was a bother to him and he ensured our deceased mother was treated in a respectful and dignified way at all times. David continually supported us at every stage from collecting our mum to choosing her clothes, flowers and music for her service. All friends and family who paid their last respect at the viewing of our mum and who attended the funeral service, complimented the send of she received. This was down to the commitment and dedication from David and the service his company provide. He took away the stress, pressure and strain that organising a funeral can place on families. He made himself available to provide advice on any issues we were unsure of. I speak on behalf of all my family and highly recommend Davids services to anyone who experience losing a loved one. 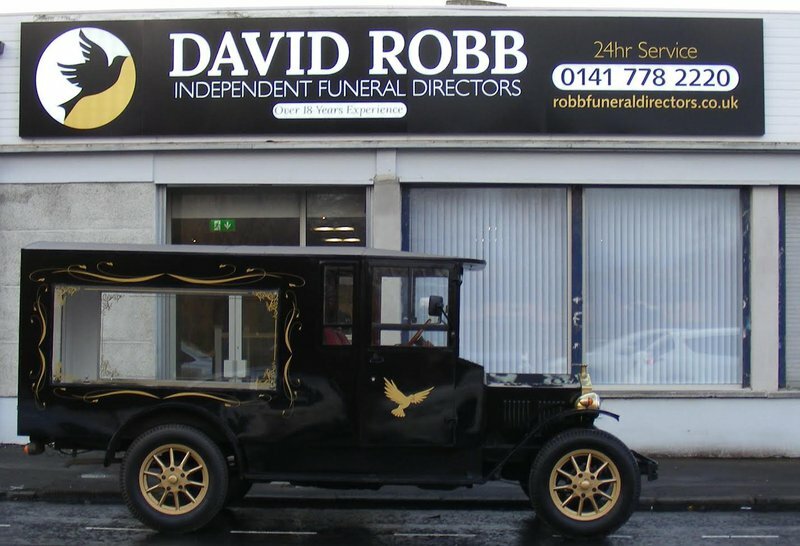 Based in the east end of Glasgow, David Robb Independent Funeral Directors offer an attentive and compassionate service throughout your time of need. 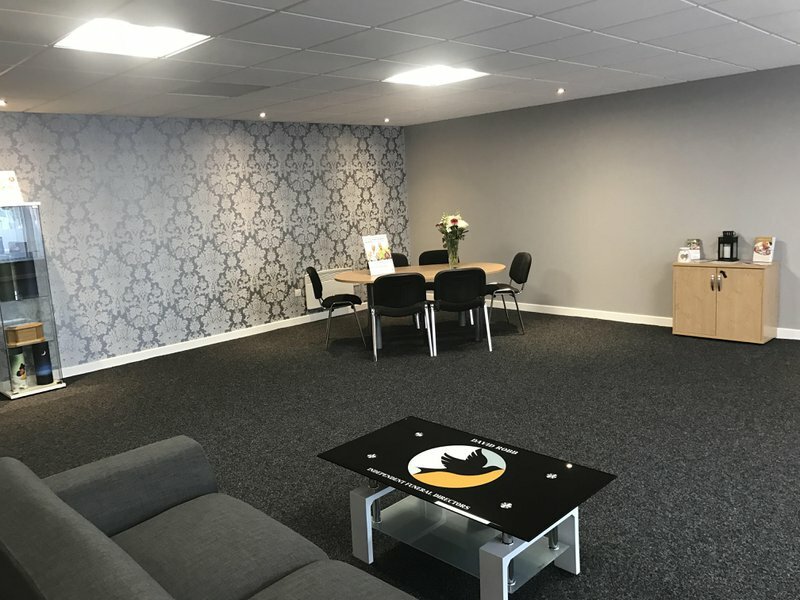 David Robb and his professional, forward-thinking team are available seven days a week to listen and support your family while arranging a personalised funeral service, according to your loved one’s wishes.They’re also happy to assist with transport, newspaper announcements and donations. 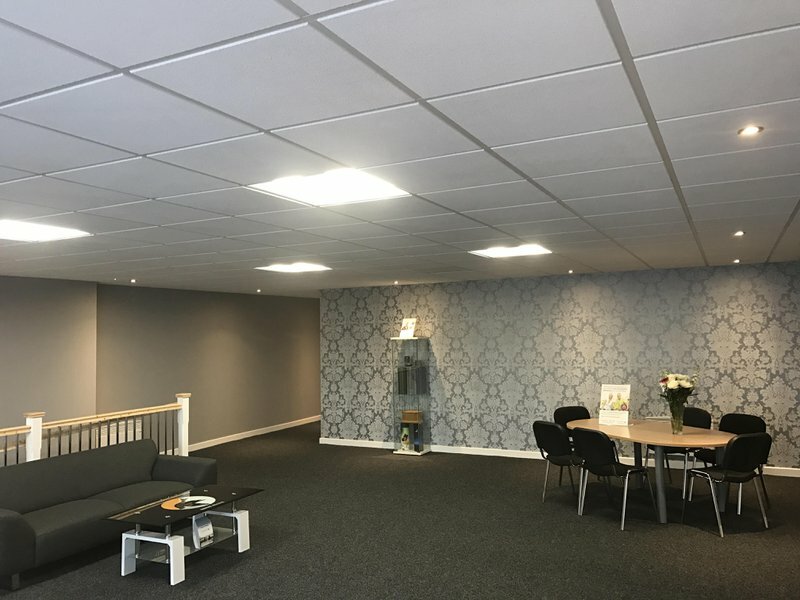 Their funeral home in Glasgow is able to cater for religious and non-religious funerals, promising attention-to-detail and maximum care when looking after your loved one. David Robb Independent Funeral Directors care for your concerns, and want to help you in anyway they can. The home offers two chapels of rest, as well as a rear loading entrance for complete privacy and respect. Each funeral director is fully qualified with advanced diplomas in Funeral Directing. The home in Glasgow is also a member of National Association of Funeral Directors. 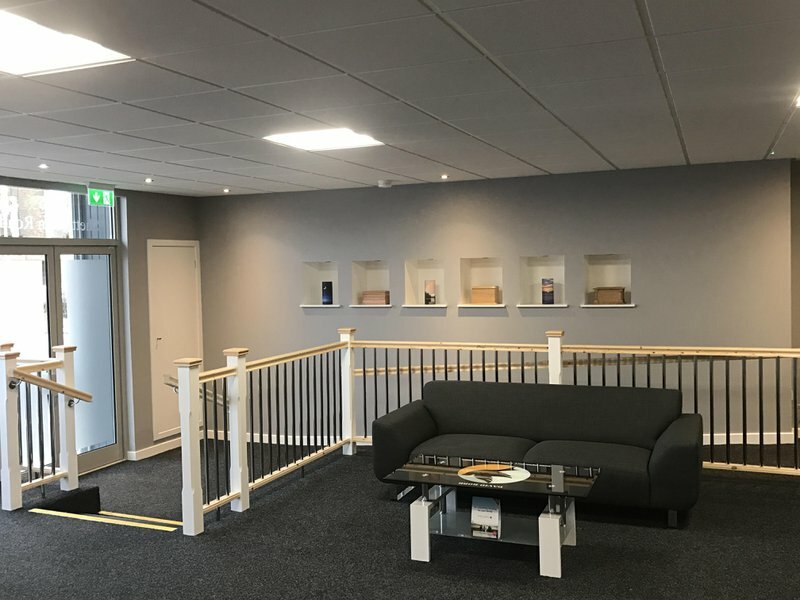 Call David Robb Independent Funeral Directors in Glasgow today to arrange your loved one’s funeral, or to learn about their pre-payment funeral plans. I don’t think myself brother and sister would have got through the process of arranging my mum funeral as well as we did if it wasn’t for the help and support of David. He’s been extremely helpful and took a lot of the stress off our shoulders I honestly can’t thank you enough. And I would highly recommend anyone like ourself that didn’t know how to even go about arranging a funeral to please go to him he was a godsend. Thanks again David! Was so please with the service that David and his colleagues gave my late gran. They were so personal and everything ran smoothly with them also taking care of most of my grans funeral. Would 100% recommend. Couldn't have asked for a more helpful funeral director, he is so considerate and very friendly. The prices are very affordable too. Would 10/10 recommend. Davie provided a first class, professional service for my family at a time when it was much needed. David and his team are extremely helpful and very caring. They go out of their way to make things as easy as possible. On behalf of myself, my sister and all of my family, we honestly can't thank David Robb and his team enough for everything over the past few weeks. They have been nothing short of outstanding. From the moment we came and spoke to you we knew we had made the right decision for you to care for our Mum on her last journey. You truly are one in a million David, and thank you for all the special touches even after the funeral. You will never know how much we appreciate everything you have done. We can't recommend them highly enough. They show the care and compassion that is often missed with other funeral directors. David and his team truly go above and beyond to ensure an outstanding service. Excellent service from David and his Team. Very family friendly, anything we asked was done without question and in the best possible way. My Wife Kate would have been smiling at her send off. Many thanks to David Robb Independent Funeral Directors - Shettleston, Glasgow for all the help they gave to our family over the last 2 weeks. Will highly recommend this firm to everyone. Thank you so much for the support David Robb and all your team that helped with Allan Morrison and his family at this sad time. Could have not done this on my own with out you guys. You took so much pressure and stress away from all concerned. Thank you so much. Provides amazing service, nothing we asked him to was too much, very professional and honestly couldnt be more amazed with the way he managed everything. 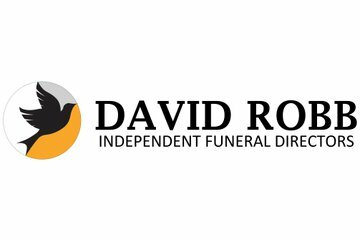 I would highly recommend David robb funeral services as he made things so much easier and was there to offer help in with everything, put the families needs first and foremost, couldn't ask for better. David gave us a personal, caring service during a very difficult time and we can't thank him enough for his kindness and compassion. Thank you from all the family. Fantastic caring and personal service provided by David Robb. I don't even know where to begin when it comes to David robb. He is an absolute gentleman who helped give our beloved mario the best send off. He went above and beyond for the family at the most difficult time of our lifes. He met every need and was on hand whenever we needed him. Amazing funeral director. On behalf of the family, I thank you so much for your care of our Stan while he rested with you. I cannot praise you enough for what you did for us before, during and after his funeral. You went above and beyond to provide a high quality and compassionate service from our first meeting until now. What you did for us was beautiful and fitting and Stan would have been so proud. 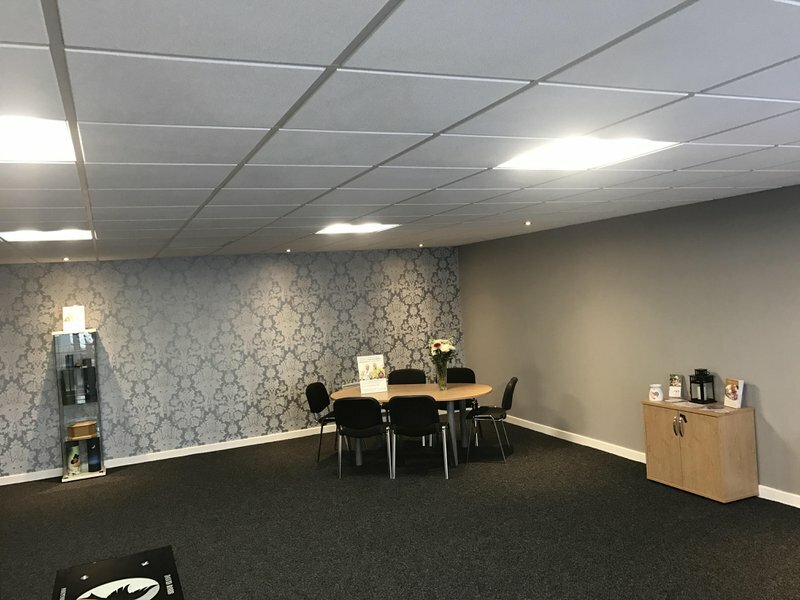 David Robb Independent Funeral Directors - Shettleston, Glasgow will provide you with a free obituary as part of their service.